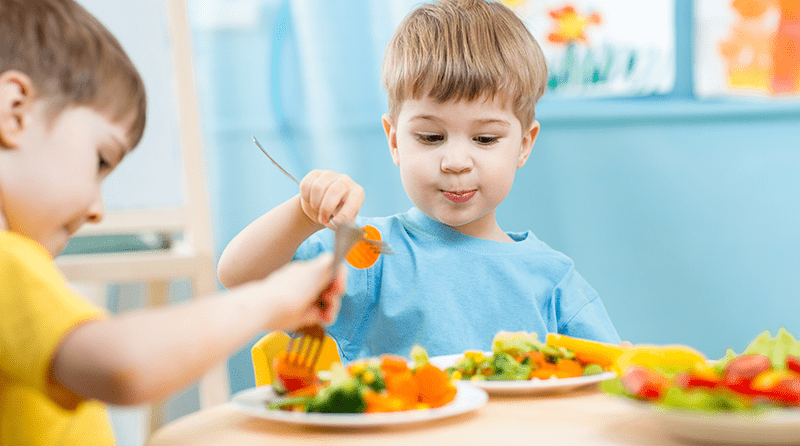 In a recent survey conducted by the Early Years Nutrition Partnership (EYNP) it was discovered that 82% of UK parents expected their childcare providers to be up to date on the latest nutritional information for youngsters, with the expectation that they actively seek out the latest advice from industry experts. The online survey – Childcare Providers and Nutrition – was conducted on YouGov and completed by 800 parents, all of whom had children aged 1-4 years. It was uncovered that 90% of parents believed that knowledge of nutrition was more important than other aspects of nursery life such as daily handovers (89%), and learning journals (86%). Parents also indicated that the setting’s knowledge of nutrition trumped that of the facilities, including good reception areas (49%) and access to buggy parking (64%) in the importance they placed on it. However, in contrast to these results, separate research conducted by the Pre-School Learning Alliance back in 2016, discovered that 79% of childcare providers were not, in fact, seeking expert advice in the area of nutrition. June O’Sullivan, EYNP board member and Chief Executive of the London Early Years Foundation, commented that childcare providers had a vital role to play when it came to educating staff about nutrition in order to support families with children’s health. She stated: “The childhood obesity epidemic in this country is a national scandal, and so far, Government responses have fallen far short.